Happy Fathers' Day to all the dads out there. I'm missing my stepfather, Earl, today, but luckily caught him and Mom on Skype this morning! So - two weeks down now with CARE, and I feel like I'm finally getting up to speed here. I've been devoting much of my time in the office to learning about the Indian public and private health care systems, more about the disease, Kala Azar, and planning my research study and my first visit to Bihar state and the Patna CARE office. The really fascinating thing about all of this is the Indian health care system. You would think in a country with so much poverty (and I'll provide some stats about this below), if the government offered free or low-cost diagnosis and treatment for a deadly disease, everyone would take advantage of it - perhaps subject to limitations of travel, communications about what is offered, etc. But in this case, many people in the villages in places like Bihar are reluctant to go to a public health center (which are mostly in the form of health sub-centers, which serve maybe 8 villages, or Primary Healthcare Centres/PHCs at the local level, where one center serves maybe 15-20 villages) and instead seek treatment from private providers - many of whom have no formal training (called "quacks" here!). 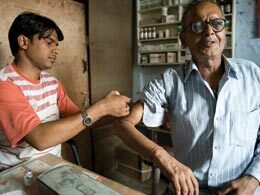 Quacks are obviously looked down upon by the qualified medical establishment and the government (some pose as real doctors, which is of course illegal) - but they actually serve an important role in rural India. There are a lot of factors that play into this. First, the government sub-centers (which are really built around maternal and newborn health, staffed with a nurse-midwife) and Primary Healthcare Centres have a reputation for being in pretty shabby shape - the doctors stationed there are not always present, stocks run out of critical medicines, and often the key medicines are older treatments, not newer, innovative, more tolerable ones. So patients naturally are reluctant to take time from work and travel there only for what they expect to be sub-par care. 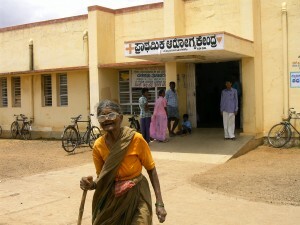 Second, as the majority of health-related issues that villagers face are minor infections and physical injuries, the local quacks are usually more than sufficient to help them for most of their needs - they usually can provide antibiotic shots (sure, not always the right one for the particular infection), set a minor fracture, clean and bandage wounds. The quacks are usually someone who has built up a relationship with people in the community - sort of a step up from the traditional village healer. And while sometimes the quacks refer a patient to a PHC or district or state medical hospital if there's someone that they clearly can't help, they don't usually keep patient records, don't always do much (or anything) to follow up with patients, and may well miss the diagnosis. So patients who seek the help of a quack end up being "invisible" to those researching how widespread the disease may be. The problem that arises is with a disease like Kala Azar, which starts out feeling like malaria or a bad viral infection, with a fever which persists for more than two weeks, and doesn't subside if given more common treatments, including malaria medication. But many villagers are not aware of the other ways to tell when a patient has Kala Azar - there are a lot of misconceptions about the disease. Researchers have determined a fairly simple way to screen a patient for KA: along with the persistent fever, they can also feel the patient's abdomen to look for an enlarged spleen (a condition called splenomegaly). Patients with the >2-week fever and splenomegaly can then be given a quick blood test - it can be done on the spot, with just a drop of blood from their finger, right in their home. If positive, they would normally be sent to a health center to confirm they have the Leishmania parasite - but most likely they do have KA. 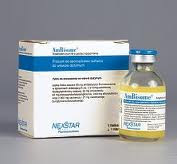 And while the old treatments for Kala Azar were long-term IV drugs that were pretty toxic, there are now drugs which have been shown to cure the disease with as little as one injection, with a 98% cure rate, and with few side effects. As the sand flies that carry KA only have a life span of about two weeks, and as they need infected humans to spread the disease, KA should be one of the easier parasitic diseases to eliminate! So, you might ask, why is it still a problem? Mostly because almost all of the currently-trained medical providers are located in the afore-mentioned PHCs, or District or State-level hospitals - and they rely solely on "passive reporting" of cases - people showing up in their facility to be examined and diagnosed. Aside from the programs run by non-profit organizations or studies conducted by government researchers (which are all limited in scope), there is no mechanism to actively go out and find KA patients, and rapidly address the problem in the local community by spraying houses with insecticides, issuing bed nets, and educating other villagers about good preventive behavior, and what to do if they suspect they have KA. And in the state of Bihar alone, there may be 100,000 cases or more in a year - and they are spread out among multiple villages in different districts (like our counties). The problem is immense. So an approach is needed to not only find ways to reduce the sand fly population but to also make sure that KA patients somehow find their way to someone who is trained to detect the disease and can get them properly treated - and also to report this to a government office so that follow-up is possible and so local Social Health activists can scour the surrounding community for additional cases. My project will be to work on the Private Sector side - to do research with the quacks, pharmacies (some patients go straight to the chemist when they are sick - and are given treatments which may or may not be for their illness), and other private health providers to determine what they know about KA, how patients tend to come to them, how they diagnose and/or treat the disease, and what happens with patients afterwards. This work will better help CARE and others to understand how better to prepare local communities to identify when there is a case of KA and what to do should one be discovered. The state is less than twice the size of New Jersey - but has the population of the entire Eastern Seaboard of the US, from Maine to Florida - over 100 million people! Bihar is about 90% rural - the largest city, its capital, Patna, is only about 2.5 million people, and no other city is more than half a million in population. The per capita income for Bihar is about 13,600 rupees - about $240. Imagine trying to live on $20/month per person! Many villages have limited or no electricity, no paved roads, and are often affected by flooding and other issues. I leave for a week in Bihar on the 24th - I should have more to report afterward! Note: all pictures in this post were found on the web and reproduced without permission - I haven't been in the field yet! I do not own the copyright.